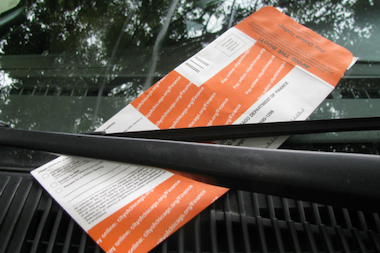 Over 47,000 parking and red-light camera tickets have been paid during the city's six-week ticket amnesty program. CHICAGO — With just a few days left for Chicagoans to take advantage of the city’s Debt Relief Program, the city is on pace to pocket several million bucks and retire tens of thousands of old parking and red-light camera tickets. The amnesty, which began Nov. 15, ends on Dec. 31 and allows for those with past due debt of any kind, including water bills, administrative fines for municipal violations like building code and business license violations, parking and red-light tickets to pay off the unpaid violations at the original amount. However, only debt incurred before 2012 is eligible for the amnesty. The six-week program allows scofflaws to pay the initial fine or debt amount, without any taxes, administrative fines, penalties, interest and collection costs tacked on in the subsequent years. As an example, a parking ticket fine which has doubled due to nonpayment and then interest and collection fees tacked on over the years, will be reduced to the original amount of the fine. Vehicle owners already on a payment plan are not eligible for fee and fine discounts. In addition, any towing fees, boot fees, storage fees, administrative fees or court costs cannot be discounted. So far the city has brought in several million dollars of revenue through the debt relief program. According to the city's Finance Department, the city had collected nearly $3 million in past-due debt as of the third week of December. The vast majority, the city reports is coming from drivers paying off past-due parking and red-light camera tickets. The previous three ticket amnesty programs brought in $7 million to $9 million dollars in past-due fines according to Poppe. The last amnesty was in 2009 while Richard M. Daley was in office. Mayor Rahm Emanuel, after years of taking a tough stance on ticket amnesty programs, relented this year, announcing the debt-relief program during fall budget hearings. The city has over $1.5 billion in unpaid fines from parking, red-light and speed camera fines on the books. If people want to take advantage of the amnesty program before it ends Thursday, the city encourages using city payment websites. Payments can also be made in person at any city Finance Department payment center, or at city E-Z Pay kiosks. People need to move fast, as original penalties, fees and interest will be restored to all unpaid debt on Jan. 1, Poppe said.